A new generation of unique young cooks is establishing itself in France. Argol is introducing a collection on some of the leading chefs who represent this cuisine. 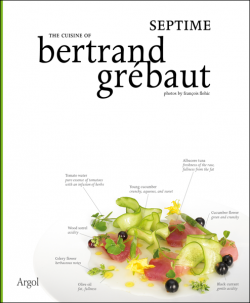 Bertrand Grébaut is undoubtedly the young innovative chef, independent and sincere, who is gently shaking up the codes of French gastronomy, in a restaurant that resembles its traditions. 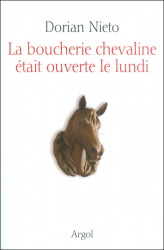 Who is this thirty-years-old chef and what is his cuisine that people the world over are discovering at his restaurant Septime? What was his path toward the culinary world? What is his current undertaking, and especially what are his dishes that put his guests in a state of reverie? 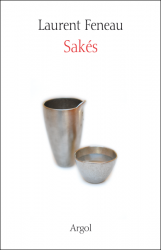 This book reflects a year of interviews and photographs, on the origin and construction of his cuisine. 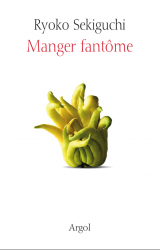 While following the seasons, Grébaut reveals, without holding back, the complexity and clarity of his creation, the demands and choices of constantly creating and innovating his menu. 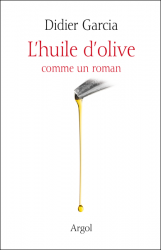 Each aspect of his work is uncovered: products, cooking, and pairings, developed recipes that are illustrated step by step, detailed menus, the wine list, and thoughts on the business, his team and the daily life of the restaurant. 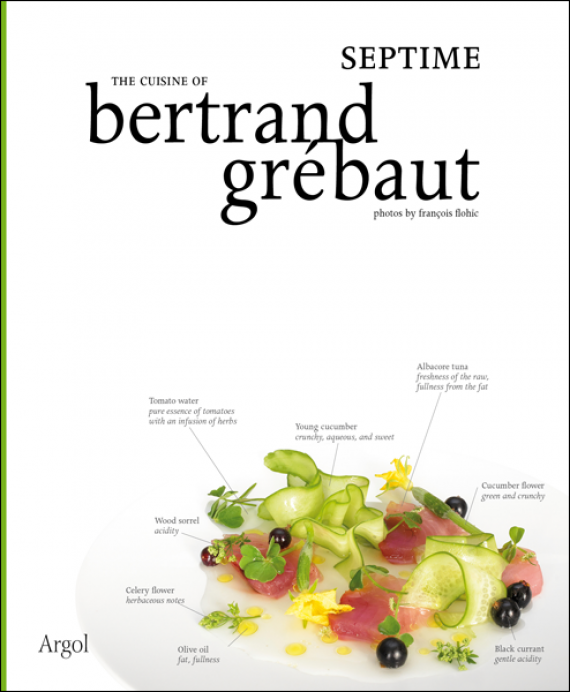 With this book, Bertrand Grébaut provides gourmets and cooks alike an incredible cooking lesson.